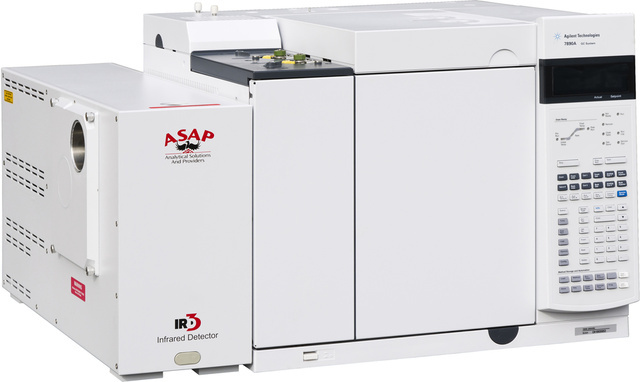 The IRD 3 is the ONLY analytical infrared instrument that combines the separating power of the Gas Chromatograph with the molecular identification of FTIR. Using a proprietary and internal light pipe interface, the IRD 3 provides a Vapor-Phase identification of your sample without the worry of polymorphism found in more costly solid-phase systems. The IRD 3 KBr optics allow analysis of the full mid-infrared region (550-4000 cm-1) while ZnSe based systems stop at 650 cm-1. A ZnSe based FTIR system loses more than 10% of the fingerprint region which is critical to the accurate identification of isomers. The IRD 3 provides structural and positional information to help the MSD resolve your isomeric challenges. The IRD 3 incorporates the most straightforward design available for GC-FTIR and is the only convenient means to directly determine vapor-phase infrared spectra in an integrated, small-footprint, GC-IR system. This GC-IRD is a universal detector, and also provides SWGDRUG Level 1 complimentary technique to GC-MS. In contrast to solid-state IR, vapor-phase IR eliminates issues caused by intermolecular hydrogen bonding, crystalline polymorphism and changes in physical state. Also, no other technique matches the highly reproducible spectra. Spectral features are not lost from overloading, therefore, optimizing library searching. Combine the IRD 3 with the TITAN XL PTV GC Inlet for enhanced sensitivity. 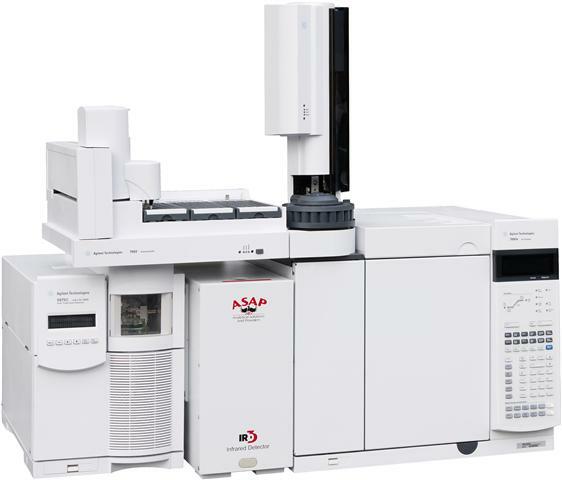 A truly unique feature of the IRD 3 is the ability to interface with an Agilent GC-MS seamlessly. GC-IRD-MS is a powerful complementary combination of two SWGDRUG Level 1 techniques for determining the exact identity of your sample. MS detection methods have difficulties identifying analytes with non-specific fragmentation patterns and discriminating between positional isomers of an analyte. IRD is ideal for distinguishing between structural isomers whose electron-impact and chemical-ionization mass spectra are identical, making the GC-IRD-MSD the go-to solution for unknown identification. 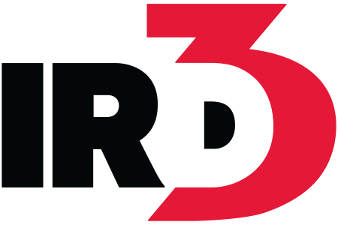 The IRD 3 software incorporates data acquisition and data analysis. 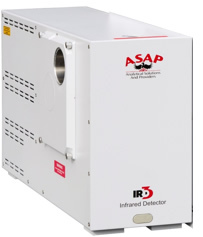 The ASAP Standalone Instrument Control (ASIC) system contains features needed to build IRD methods, calibrate the IRD optical path and initiate data collection. Data analysis is done using Essential FTIR®. This full-featured software makes the task of analyzing data quick and easy. Load an acquired chromatographic file, pick a peak of interest, view the spectra and search the results. Over 500 units sold worldwide.